Charlie began his career as an officer in the army. He joined SmithKline Beecham in 1992 and became marketing manager for the Lucozade brand, before moving to McKinsey & Co in 1996. 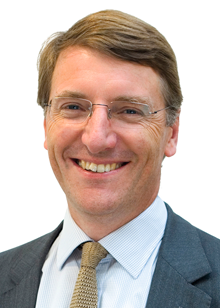 He joined John Lewis Partnership in 2000 as head of business development, rising up the ranks to become chairman in 2007. Charlie was the government-appointed chair of the UK Commission for Employment and Skills, and president of the Employee Ownership Association. He received a knighthood in June 2013 for services to business. 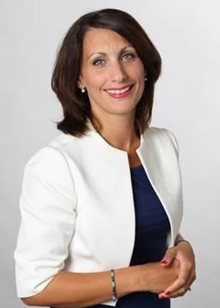 Sacha became the first female to be elected as CEO of a major accountancy firm and took up the role in July 2015. Her leadership is based on establishing a common purpose and liberating people to achieve that, with a focus on creating sustainable value for clients, people and broader society. During her career, she has worked with major business units to deliver superior business performance, led on ground-breaking cultural change programmes and pioneered approaches to unlock talent and create value for clients. Client side, she has worked with leadership teams in the UK and globally to achieve superior business performance. This has included the design and implementation of cultural change programmes and facilitation with boards to enable high performance in the boardroom, specifically around alignment and trust. 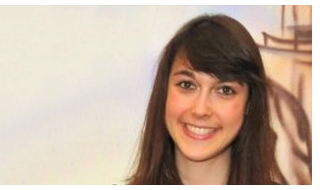 Alix is the HR director for group operations at Lloyds Banking Group, a role which she job-shares with Charlotte Cherry. The pair joined Lloyds in 2016 from General Electric. They now have a team of 30 and are only one rung down from the ExCo, making them Lloyds' most senior external job-share hire ever. Alix holds a Master’s degree in HR management from the University of The West of England, Bristol Business School and is a member of the Chartered Institute of Personnel & Development (CIPD). As chief innovation officer at PA Consulting Group, Frazer’s passion lies in the journey from idea to profit. He has recently supported companies through innovation in the area of connected healthcare; system and service providers, new entrants, as well as pharmaceutical companies looking to support their portfolio through the adoption of novel connected technologies. 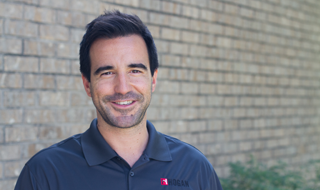 With experience that spans R&D, product development, consulting and sales, he is founder of three companies including two semiconductor companies. The most recent, Qasara, was sold to Research in Motion in December 2010. 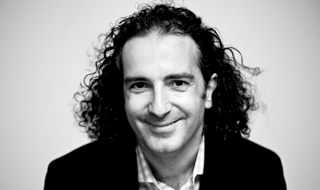 Dr Briffa is the director of Dr Briffa Wellness (drbriffawellness.com), a specialised consultancy providing wellbeing education and services to businesses and organisations. Clients include PwC, Deloitte, HSBC, Lloyds Banking Group, Thames Water and Allen and Overy. He is the author of nine books, including A Great Day at the Office - 10 Steps for Maximising Your Energy and Getting the Best Out of Yourself and Your Day (HarperCollins). Dr Chamorro-Premuzic is an international authority in psychological profiling, talent management, and people analytics. He is the CEO of Hogan Assessment Systems, professor of business psychology at University College London (UCL), and visiting professor at Columbia University. He has previously taught at New York University and the London School of Economics. He has published eight books and over 120 scientific papers, making him one of the most prolific social scientists of his generation. He is a columnist for Management Today. 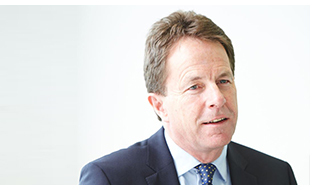 Peter is the chief executive of CIPD, the professional body for HR and people development. Prior to joining the CIPD in July 2012, he was chairman of the Institute of Leadership and Management and a member of the Council of City&Guilds. Up until 2009, he had a long career at Accenture holding various leadership positions culminating in a seven-year spell as global managing director, leading the firm’s human capital and organisation consulting practice. He writes and speaks widely on the development of HR, and the broader issues of leadership, culture, people and skills. 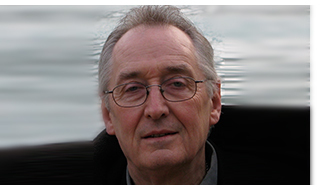 Peter is also a member of the Board of BPP University, and the Advisory Board for the Open University Business School. 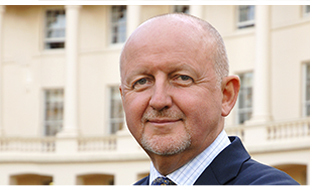 He holds an honorary doctorate from Kingston University, is a Fellow of the CIPD and a Fellow of AHRI, the Australian HR Institute, a Companion of the Institute of Leadership and Management, and a Companion of the Chartered Management Institute. 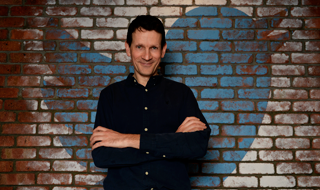 Bruce joined Twitter in 2012, following a career at Google (where he had responsibility for YouTube and display advertising), Emap/Bauer and Capital Radio. 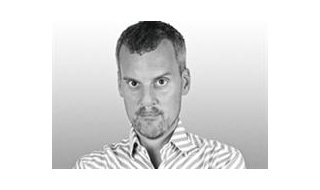 New Media Age has recognised Bruce as having made the Greatest Individual Contribution to new media in the UK. In 2015 he was voted Individual of the Year in The Drum's Social Media rankings. He runs a podcast 'Eat Sleep Work Repeat' on work culture, which has featured in the iTunes top business podcasts since its launch at the start of 2017. Daniel is executive editor of The Economist and editor of The Economist’s annual publication, The World in..., which focuses on the year ahead. Since joining The Economist in 1983, he has written about Soviet and East European affairs, covered great European upheavals, from the collapse of communism to the signing of the Maastricht treaty, and been Britain editor and later Washington bureau chief in the US. 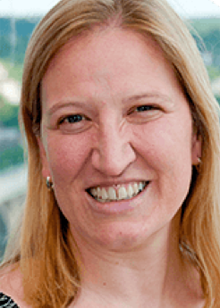 He is co-editor of Megachange: The World in 2050 (Economist Books, 2012)..
Kirstin is people director at BBC Worldwide and a member of the worldwide executive committee. 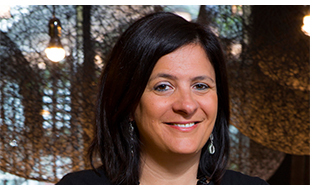 She has more than 20 years’ experience of developing organisational cultures. Her mission: to help and inspire business leaders to create the right working environments that allow people to be the best that they can.Prior to working at BBC Worldwide, Kirstin was the executive HR director for Twentieth Century Fox, Europe, and spent seven years at Discovery Channel as the VP of international human resources. David is executive director of Tata Limited, a UK-registered subsidiary of Tata Sons, providing support to the 19 Tata companies across the UK, including Tata Steel, Jaguar Land Rover, TCS, Tata Global Beverages (including Tetley Tea), Tata Chemicals and Taj Hotels. David joined Tata Limited from a career mostly in the British Diplomatic Service. He served in a number of positions in London and overseas, including as Charge d’Affaires in Yugoslavia and ambassador to both Albania and Greece. He has also worked in international government relations and marketing at De La Rue. 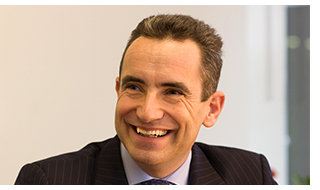 David is also a non-executive director of the UK India Business Council and a member of the CBI London Council. Jean directs the development of talent management solutions and insights with heads of human resources at some of the world's largest global companies, including Starbucks, Amazon and BP. She is passionate about helping businesses find top talent and drive breakthrough organisational performance. Previously to joining CEB, Jean served as a special assistant to President Clinton’s Domestic Policy Council; was a special assistant to the senior vice president for small business/community development banking at Bank of America; and was project manager for microfinance and microenterprise development at the US Agency for International Development in Africa. Karen is the co-founder and joint CEO of Timewise – a multi-award winning business that has brought flexible hiring to the UK recruitment market. She and her co-founder Emma Stewart have both been made MBEs for their work, named as two of the UK's most radical thinkers by The Observer, are Management Today's ‘Small Business Heroes’ and have been listed by Real Business magazine in its list of the ’12 leading social entrepreneurs to watch’. In 2014, Director magazine named Karen and Emma as the UK's most influential 'Women Changing the Business World', following a landslide public vote. Karen campaigns to prove that flexible work also means committed, ambitious and business-critical. Four years ago, she launched The Power Part Time list in The Financial Times – a roll call of 50 men and women who work in senior roles on fewer than full five days. Most recently, she put the issue of flexible hiring on the wider industry agenda with the launch of the Timewise Flexible Jobs Index in 2015, featuring in The Telegraph, The Times, The Guardian, Management Today and more. Karen will be chairing the conference session 'How to make Part-time Work'. 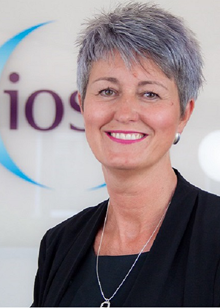 Bev heads up the Institution of Occupational Safety and Health (IOSH), the chartered body for safety and health professionals. She's now leading on the delivery of IOSH’s new strategy, WORK 2022, which outlines how IOSH will work with businesses to shape the future of safety and health at work. She has an impressive track record of delivering organisational transformation and cultural change across national and local government. Bev was previously senior director of business improvement at Ofwat; acting CEO and corporate director of customer and workforce services at Coventry City Council; non-executive director and vice-chair of Northamptonshire Healthcare Foundation Trust; and a trustee of Keyring – a national charity for adults with learning disabilities. 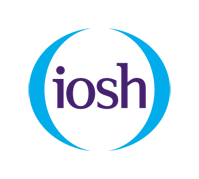 Karen focuses on creating innovative and industry-leading payment solutions for large, mid-sized and small businesses across the UK. 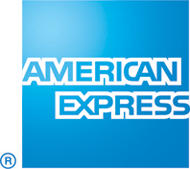 Karen has worked for American Express since 2002, holding several senior positions, and has worked in the financial services sector for more than 25 years. Steve is responsible for helping businesses grow through consumer-centric marketing, advising clients on everything from brand positioning to innovation strategies. Prior to joining Vermeer, Steve led brand consulting for Added Value’s LA business. He was also AV’s Global GrowthFinder practice leader, helping clients identify and execute brand-led growth strategies by harnessing the power of insights, sharp strategic thinking and activation planning. 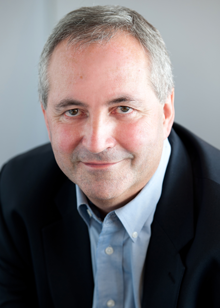 Steve is a seasoned international consultant having lived and worked in Europe, Asia, Africa and North America. 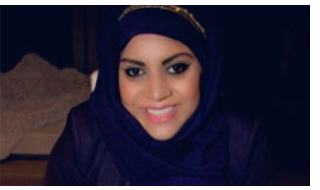 Shazia is the founder of fledgling start-up ieat foods. Her pet project for eight years, while she worked for BBC Dragon Peter Jones CBE and global innovation giants ?What If!, ieat foods finally launched in 2014 and is the UK’s first brand of international halal ready prepared meals. With each of the big four supermarkets listing the brand in its first 500 days, ieat is the largest ready meal brand launch by a start-up in UK history and is now also exporting to Europe and the Middle East. Shazia has won four national entrepreneurship awards, was listed in the BBC 100 Women 2014/15 and was invited by the White House to a round table on ethical entrepreneurship with Vice President Joe Biden, and to speak at Harvard University and at SXSW. ieat is Shazia’s seventh successful business to date (ask her about her patents or building Cambodia’s first eco-resort at 25!) having started at the tender age of 11 while still in primary school. Nishul was a co-founder at S&P 500 company IHS Markit, back when the company was launched from a barn in St Albans. He spent nine years there across London and New York. Since then he has become an investor and adviser in the start-up ecosystem while also taking a bit of time to try his hand at online travel with BeachFix. 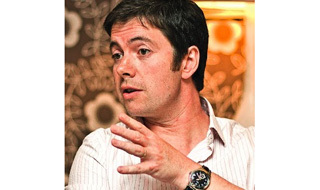 Most recently he was Entrepreneur in Residence for the Barclays Techstars accelerator programme. .
Ian has done senior civil service roles in a job share for over three years, also leading a team to deliver police reform for then Home Secretary, Theresa May. Ian has worked in public policy for over ten years, in the Treasury, overseas and the third sector. .
Supermarket supremo Tallant joined Asda's graduate scheme in 2012 and has powered up the ranks. Triumphs include acting as project manager for former Asda boss Andy Clarke; saving the business £2m per quarter by sourcing larger cheese trays for the fresh pizza counter to reduce waste; and setting up the company's graduate alumni group. She's currently the buying manager for the grocers entire yogurt and dessert sector, responsible for £400m of revenues at the age of just 27. Clarke described her as a 'star in the making' in the retail sector. At just 22 years old, Bruce has worked with some of the world’s biggest brands and business names. Bruce's organisation WeAreTheFuture hosts entrepreneurship summits across Europe, North America, the Middle East and Asia to bring together business leaders, innovators and startups into one room. Bruce is a regular contributor for Huffington Post, chairman of The Entrepreneur's Foundation, board adviser at Forth Valley Chamber of Commerce and co-founder of FutureX. As head of workplace for Lendlease in Europe, Alison is a workplace and design enthusiast with a passion for creating great places for the people that live, work and play in them. With a background in architecture and economics, Alison has over 10 years’ experience creating places for artists, research communities and workforces of the future to thrive in. 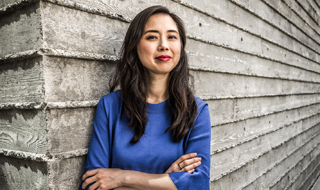 Haiyan is a designer, technologist and maker of things. She invents cutting-edge technology to enable new 'Connected Play' experiences and recently appeared on the BBC documentary, Big Life Fix. Haiyan was formerly innovation director at Lift London, a Microsoft Game Studio; co-founder and design lead for the innovation platform, OpenIDEO.com, bringing together a global community to solve challenges for social good and used as the enterprise innovation engine for organisations such as British Airways, DeutscheBank, Harvard Business School. 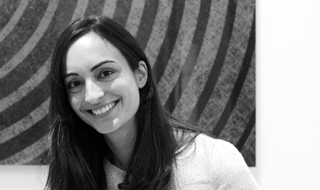 She has a Masters degree in interaction design from the renowned Interaction Design Institute in Ivrea, and has lived and worked in Australia, Toronto, China, Italy, San Francisco and now resides in London. Matthew has edited MT for the past 12 years and has won the BSME Business Magazine Editor of the year on five occasions. During a 15-year career as a freelance, he wrote for The Sunday Times Magazine, The Independent, The Telegraph, The Observer, GQ and Business magazine. 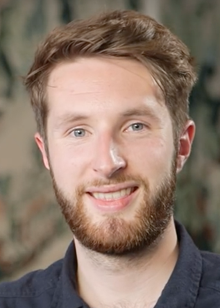 Jim is head of data and analytics at British Gas Connected Homes. 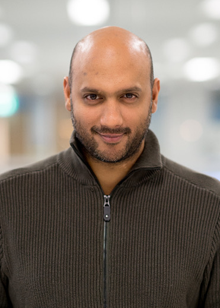 His team of data scientists and engineers manage all aspects of data from Connected Homes’ products including Hive Active Heating and MyEnergy, analysing it to help improve services and developing machine learning and artificial intelligence algorithms to give customers the best experience from connected products. 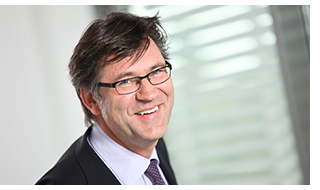 Peter is market development manager EMEA at 3M Display Materials & Systems Division. In a career spanning over 27 years at 3M in sales, business development, sales management, marketing and project management, Peter has a broad market experience in both domestic and international visual display and IT data security markets. Octavius is the CEO of Mind Gym, which he founded in 2001 and has grown to a global business serving 61% of FTSE 100 and 53% of S&P 100 companies across 40 countries. He is a business authority on all matters of people performance – from surviving austere times, to introducing cuts while improving productivity, and how to make a successful move from the public to the private sector. He writes regularly for the Financial Times, The Times and The Sunday Telegraph. He has also co-authored four books including the international bestseller Mind Gym: Wake Your Mind Up, which reached no. 2 on Amazon behind Harry Potter. Octavius has an MA in Philosophy, Politics and Economics from Oxford University. 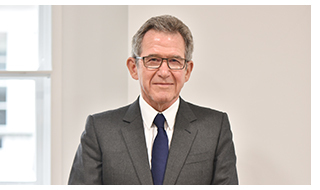 John Browne (Lord Browne of Madingley) was CEO of BP from 1995-2007, transforming it into one of the world’s largest companies. He was knighted in 1998, and made a life peer in 2001. 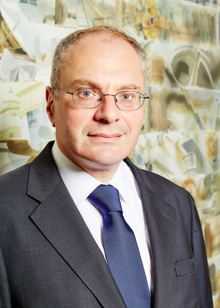 He is chairman of L1 Energy, Huawei UK, the Tate Galleries and Donmar Warehouse. John Browne advised five prime ministers, built a reputation as a visionary leader and was regularly voted the most admired businessman by his peers. 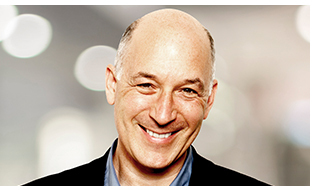 He is the author of the memoir Beyond Business, popular science book Seven Elements That Changed the World, The Glass Closet, a commentary on the acceptance and inclusion of LGBT people in business and Connect: How Companies Succeed by Engaging Radically with Society. Simon joined Management Today in the mid-1970s, edited it from 1983 to 1986 and has contributed to it intermittently ever since. He helped launch a pioneering if short-lived management website in 2000, and for 15 years wrote a weekly management column in The Observer on subjects ranging from rock ’n’ roll and prisons to the future of capitalism. His work has appeared in many business and other publications, including Wired, the FT, Country Living, Strategy+Business and The Guardian. He has won several awards including best management article in 2004 and Workworld's 2009 columnist of the year, and he lives in London and Paris. David is the founder and CEO of SoundOut, a world leading predictive analytics business powered by over two million crowdsourced reviewers, the wisdom of crowds and big data methodologies. When you have no data, SoundOut predicts consumer demand. SoundOut is the leader in new music testing across the US and UK, testing over 10,000 new songs a month for radio and record labels; identifying the hits before they reach the airwaves. SoundOut also powers WGSN’s StyleTrial service, and Strax’s RangeLens service, enabling fashion and FMCG retailers worldwide to accurately predict consumer demand, plan ranges and optimise pricing before bulk orders are placed. 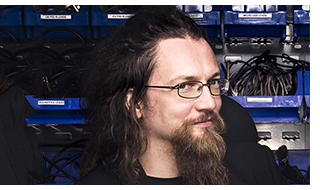 Prof Dr Michael Feindt is a particle physicist, having previously headed up research teams at particle accelerator centers CERN, Fermilab and KEK, he now is a physics professor, technology entrepreneur and developer of automated commercial strategies. When he moved from CERN to Karlsruhe Institute of Technology (KIT) in 1997 to begin his professorship, he made some investments in stock funds, which led him to experiment in applying his forecasting algorithm to share prices. This turned out to be very good for short-term share price developments and was the trigger that led him to review other applications. He founded his first company, Phi-T (the predecessor of Blue Yonder), in 2002. Blue Yonder was born out of CERN, where Professor Feindt developed the NeuroBayes algorithm for the analysis of experiments in elementary particle physics during the hunt to discover new particles. This software uses historical data to calculate automatic forecasts of future events in the form of a probability distribution for individual occurrences. But it also works in other areas such as sales planning, customer analysis, risk analysis and dynamic pricing. Ann is the CEO of the CMI, the only UK chartered body with the mission to promote better managed and led organisations. 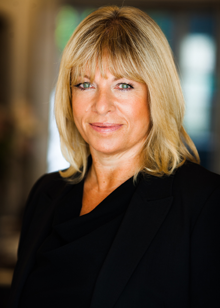 She was the former global MD at the British Standards Institution, has held executive management board positions at FTSE 100 companies Boots Group and Yell, and was European vice-president at Mars. Ann is the author of the FT Guide to Management and serves on the advisory boards of Lancaster University Management School and Open University. 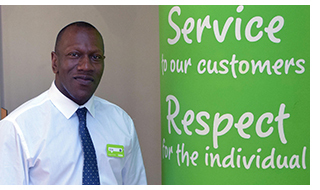 Nick’s responsibility is to attract and build talent for Asda and drive increased productivity and capability through the performance of its people. His responsibilities include developing external talent, youngsters, individuals with disabilities, expats with routes into employment, and the selection and identification of key talent, high performers and future leaders, ensuring there is a strong talent pipeline of successors. Talent across all segments of the workforce are actively supported with bespoke development and organisational interventions, so that irrespective of background they are able to achieve and be successful in the business. 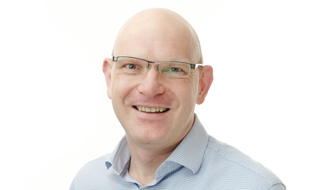 Nick oversees Asda’s leadership development programmes, as well as technical and function training that covers key skills in buying, selling, trading, supply chain and merchandising in a digital and more connected industry. 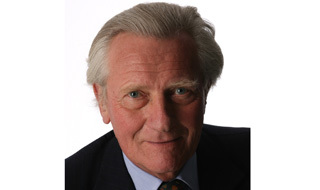 Lord Heseltine was a British MP from 1966 to 2001, serving as cabinet minister and Deputy Prime Minister. He is the founder and chairman of Haymarket Publishing, chair of the Independent Advisory Panel for the Regional Growth Fund, and has published a review into how the UK public and private sectors work. Ann works in investor relations at Whitbread. 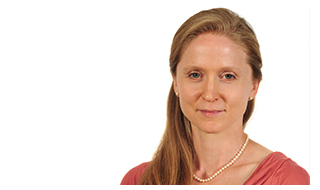 She previously worked in strategy, both at Whitbread and L.E.K. Consulting, after graduating from Oxford University where she was Ladies’ Blues Swimming Captain. Ann also runs Eyedea, a London-based network for young women in business, along with five other ladies. Since its formation in 2012, Eyedea’s membership has reached over 700 women who meet monthly to hear inspirational speakers, engage in entrepreneurial networking opportunities, and participate in professional education discussion sessions. 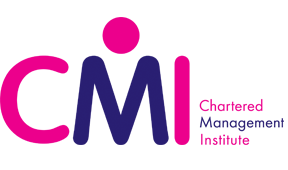 The aim is to facilitate a friendly and supportive atmosphere away from the stresses of starting your career as a millennial woman in London. 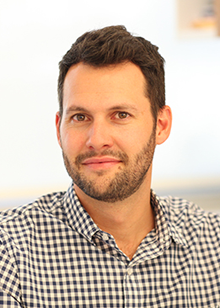 Gareth’s research has focused on leadership, culture, innovation & change. 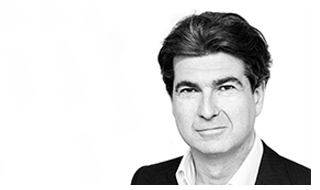 He has held professorial posts at Insead, IE Business School Madrid, and London Business School and is currently a Fellow of the Centre for Management Development at London Business School. He has published articles in Harvard Business Review, Human Relations and in European Management Journal. Together with Rob Goffee, he has published The Character of a Corporation, Why Should Anyone Be Led By You?, Clever: Leading your Smarter, Most Creative People and most recently Why Should Anyone Work Here?. 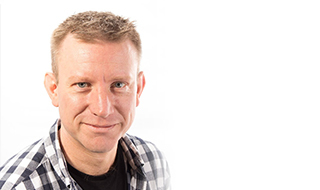 Gareth has held appointments as senior vice president for Polygram’s global human resources and as the director of human resources and internal communications at the BBC. 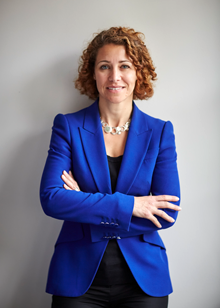 Karen is the co-founder and joint CEO of Timewise – a multi-award winning business that has brought flexible hiring to the UK recruitment market. She and her co-founder Emma Stewart have both been made MBEs for their work, named as two of the UK's most radical thinkers by the Observer; are Management Today ‘Small Business Heroes’ and have been listed by Real Business magazine in its list of the ‘12 leading social entrepreneurs to watch’. In 2014, Director magazine named Karen and Emma as the UK's most influential 'Women Changing the Business World' following a landslide public vote. Karen campaigns to prove that flexible work also means committed, ambitious and business-critical. Four years ago, she launched the Power Part Time list in the Financial Times – a roll-call of 50 men and women who work in senior roles on less than full five days. Most recently, she put the issue of flexible hiring on the wider industry agenda with the launch of the Timewise Flexible Jobs Index in 2015, featuring in the Daily Telegraph, The Times, Guardian, Management Today and more. 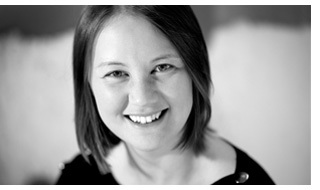 Dena McCallum co-founded management consultancy Eden McCallum in 2000. With its pool of independent consultants, the firm serves clients across a range of sectors on strategy, implementation and organisational issues, and its unique consulting model has been recognised with features in Harvard Business Review, The Economist, Financial Times, Het Financieele Dagblad and Wirtschaftswoche. Before establishing Eden McCallum, Dena was the director of strategy at Condé Nast International and prior to that a consultant with McKinsey & Company. She holds an MBA from INSEAD, an MPA from the Woodrow Wilson School at Princeton and a BA from the University of Toronto. Alan joined PA Consulting Group in 1988. The bulk of his working career has been as a management consultant. 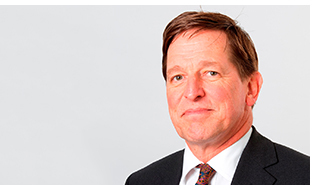 As a senior partner in the firm he led PA’s work in the financial services and professional services sectors. He was head of PA’s IT strategy practice and, before that, of PA’s financial services business. He was elected chief executive officer in September 2007. Alan still actively consults, advising global financial services clients on innovation. Clare is the HR principal executive advisor for CEB, a best practice insight and technology company. CEB's HR offerings enable members to execute efficiently, benchmark performance against best-in-class metrics, and achieve critical business objectives through successful talent and functional strategies. Clare serves as a thought partner to HR leaders at member organisations across Europe, the Middle East, Africa and Asia. 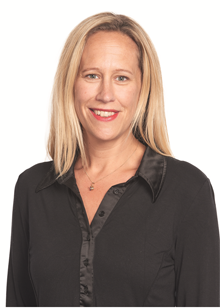 Clare’s role is two-fold: to engage global HR executives around CEB’s latest HR research and findings and to use CEB resources to guide individual and organisational decisions across a wide variety of human capital areas. 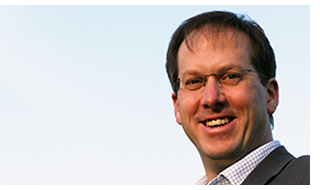 Rufus runs Newsworks, the commercial and marketing body for UK’s national newspaper brands. He was previously the CEO of the World Advertising Research Centre and before that managing director of Haymarket Brand Media and a director of Haymarket Media Group. He is also a director of Saffron, the brand and identity business. A former journalist, he began his career on Campaign and spent seven years as a senior business correspondent on The Sunday Times. He returned to Haymarket to relaunch Management Today following Lord Heseltine’s return as chairman of the company. Rufus introduced MT’s catchline ‘not just business as usual’ and was voted Business Editor of the Year by both the British Society of Magazine Editors and the Professional Publishers’ Association. Most notably, he hired Matthew Gwyther first as a freelance features writer and then as editor of MT. 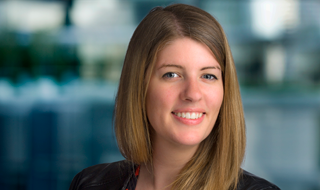 Caroline is the executive chair and founder of FreshMinds, a market leader in insight and innovation. Founded in 2000, FreshMinds is the Drum Network’s Market Research Company of the Year and has been named the industry's best agency twice. Caroline is a regular speaker on innovation and strategy in the face of rapidly changing markets disrupted by technology. She is also one of the UK government’s 50 Business Ambassadors representing the UK’s professional services industry globally. 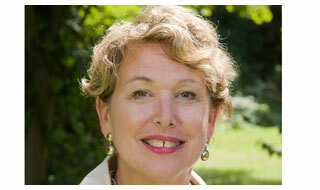 Caroline is also an independent member of the advisory panel for the £3bn Regional Growth Fund. Shazia is the founder of fledgling start-up ieat foods. Her pet project for eight years, while she worked for BBC Dragon Peter Jones CBE and global innovation giants ?What If!, ieat foods finally launched in 2014 and is the UK’s first brand of non-ethnic halal ready prepared meals. With each of the big four supermarkets listing the brand in its first 500 days, ieat is the largest ready meal brand launch by a start-up in UK history and is now gearing for export to Europe and the Middle East. Shazia has won four national entrepreneurship awards, was listed in the BBC 100 Women 2014/15 and was invited by the White House to a round table on ethical entrepreneurship with Vice President Joe Biden. ieat is Shazia’s seventh successful business to date (ask her about her patents or building Cambodia’s first eco-resort at 25!) and is fully responsible for stealing her of any quirky social activity that would usually be named towards the end of a regular bio!. Charles Skinner was editor of Management Today from 1994 to 1997. Prior to this, he worked in investment banking at S G Warburg and private equity at 3i, after graduating in Classics from Oxford University. 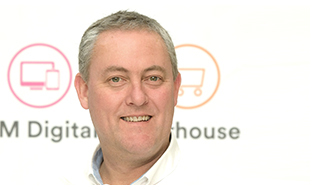 Since 1997, he has been chief executive of three quoted companies, all in UK support services: Brandon Hire (sold to Wolseley in 2006), Johnson Service Group and for the last seven years at Restore. Restore provides office services such as document storage, scanning and shredding, and office relocation; its market capitalisation has increased from £1m in 2010 to £350m in 2016. Sir Martin Sorrell is CEO and founder of WPP, the world’s largest marketing communications group. 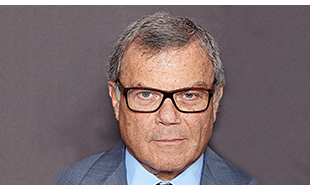 WPP employs over 190,000 people (including associates and investments) in over 3,000 offices in 112 countries. He is one of the most respected global industry leaders whose views on business and the world economy are widely sought. Sir Martin has degrees from Cambridge University and Harvard Business School. He actively supports the advancement of international business schools, advising Harvard, IESE and Indian School of Business, the China Europe International Business School and Fundação Dom Cabral Business School in Brazil, among others. Corinne is passionate about democratising technology and making it more accessible, usable and affordable to all. This approach led to the TomTom GO, which single-handedly created the satnav category. She started at Psion in 1987, building its international distribution network. Then in 1992, together with Peter-Frans Pauwels, Pieter Geelen, Harold Goddijn, she set up Palmtop software, which then became TomTom. Assuming responsibility for branding, marketing and sales she oversaw the change from a B2B software company to a B2C organisation. 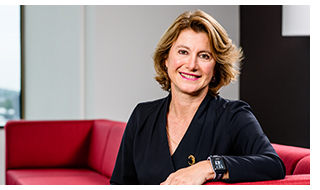 Corinne is now MD of TomTom’s Consumer Business Unit, which also produces fitness watches and an action camera. 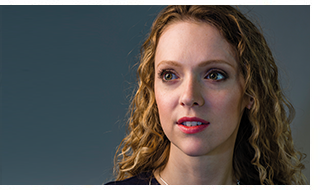 She has been voted one of the top 50 most inspirational women in European tech in 2015 and 2016. 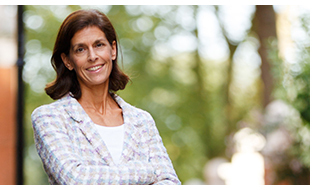 Corinne is on the advisory board of the Sutton Trust, chairs the Sofronie Foundation, and is co-chair of the Dutch Chapter of Women Corporate Directors. She is also on the board of the Dutch National Opera & Ballet, and the president of the CCEF (Conseiller du Commerce extérieur de la France). Rich has spent years working in robotics, and now leads the team at Shadow, who are developing new robots and new applications for robotics. 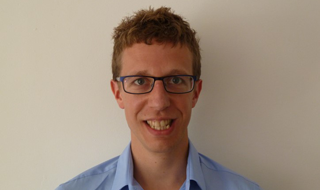 He is active in developing and implementing European (FP7 and now Horizon 2020) and Innovate UK projects He is on the Innovate UK ‘Robotics and Autonomous Systems’ SIG Advisory Board, as well as several EPSRC robotics advisory boards and management committees. He is also one of the three SME directors of the EuRobotics association, helping shape the robotics roadmaps there and trying to make sure European robotics does some of the right things! Outside windowless rooms with PowerPoint presentations, he likes to find new ways we can apply next-generation robotics technology and thinking to solver real-world problems. Even if someone else does it!. A business journalist who writes for, among others, Management Today, The Guardian, Financial Times, Times Higher Education and Brand Republic. He also produces radio and video reports as well as chairing debates and round-table discussions both on the web and offline.